Would anyone happy to know what this abbreviation means on the end of my referral number? Just noticed it and have never heard of it before.. So this is what I found,... no information about what it means or why my referral ID would have that included.. 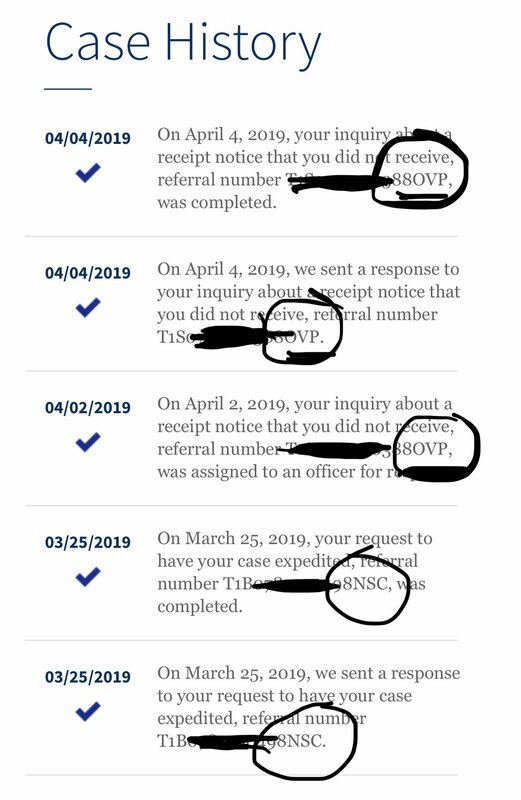 I've never seen this before but I did a quick google and it looks like it denotes a case that has been escalated or has a service request, so it's likely because of the missing receipt notice inquiry. It all was from the same request, so the changed the final 3 letters after I made another phone call.